If you did NOT get this newsletter in your inbox this week, please UPDATE YOUR INFO! And make sure we have your correct email address! Just click on the link above to verify. It has been a while... so we hope you missed us! We have some news to share so read on down. One big announcement is that the Atlanta Erg Sprints will be on February 12th, 2011. We are looking for volunteers to help us before and on the big day of the event. So if you're in town - look for more information about it below and let us know! The next GTCA Meeting is December 13th and is open to everyone, as usual. We are now meeting every 3 weeks and are always looking for people to join us! So come on out! 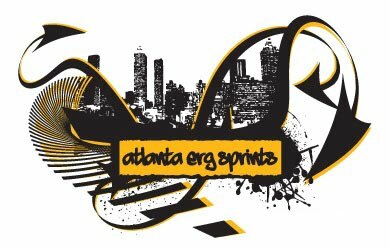 The Atlanta Erg Sprints will be on Saturday, February 12th, 2011. This event has grown to 500 competitors - from novices to experts - from all over the southeast. Because this is such a big event, and one of our largest fundraisers, the GTCA is looking for volunteers to help on race day. E-mail events@gtcrewalumni.org if you would like to spend a few hours, or up to the full day helping with this event, especially if you have volunteered in the past! And of course, please let us know if you have any ideas to enhance the 2011 sprints, we will help implement your idea. Volunteers are needed between 8am and late afternoon on February 12th, 2011 for weigh-in's, t-shirt sales, results processing, running the race system, and more. Volunteers are also asked to bring a flat screen TV or computer monitor (anything with a VGA connection) to help display the race. After the new year, volunteers will be contacted to verify equipment and volunteer efforts. Volunteers on race day receive a t-shirt, lunch and the joy of running the races!! As always, spread the word that ergs are for sale and 2011 erg sale information has been posted at www.AtlantaErgSprints.com. Ergs always sell out, so if you or someone you know wants to buy an erg, please reserve your erg early! Got an old erg sitting around? Taking up space and gathering dust in your basement? Well we know just the people that want it and can help you donate it a local non-profit organization in Atlanta. So email us at events@gtcrewalumni.org and let us know if you have an old erg to donate. Thanks! In Chattanooga, the team competed against other university programs from around the south including Emory, UGA, UT-Chattanooga, and D1 Women's Varsity Programs from Alabama and Tennessee. The team had a strong showing with the varsity men's collegiate 8's taking gold and silver and the women's collegiate 8 beating out 2 D1 varsity boats to take 5th. The novice men and women both medaled in their respective 8+ and 4+ events and Tech's lightweight 4+'s earned medals in both the men and women's events. The day ended with the team being awarded the Team Points Trophy and was a great start to the fall racing season. This weekend, the team was in Augusta for the last fall regatta of the season - the Head of the South. The fall season wasn't just exciting for the current GT Crew team. We also had a lot of our alumni out there winning medals and looking good. We'd love to post more results and good news, so don't hesitate to drop us a line and let us know what's going on with you! Not everyone is on Facebook! Check out this great photo of GT Crew Alum & past coach Mike Smith (stroke) & past coach Ethan Johnson (bow)! They rowed together in Seattle at the Head of the Lake this past weekend and were the champions! Well done guys! A big congratulations also goes out to GT Crew alum Sarah Schwegman "Schwegs" who won the Gold in the Women's Club Single at the 2010 Head of the Charles. Sarah lives in Boston and rows for Riverside Boat Club. Well done Sarah! And lastly, congratulations to GT Crew alum Joy Smith who coached the Emory Women's team to Gold in the Collegiate 4+ at the 2010 Head of the Charles AND the 2010 Head of the Hooch! That is an amazing achievement! And even though they beat the GT Crew women who placed 5th (in both races)... we still want to honor the achievements of our alumni! It's always great to see good rowing out of Atlanta!